Wet rooms are there to make cleanliness and independance possible and supportive. 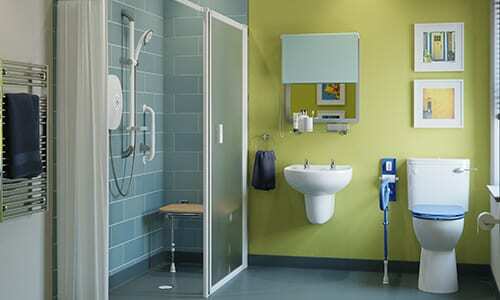 Wet rooms have to include certain features that will aid people who live with all sorts of disabilities and illness’, that’s why everything has to be as solid, supportive and slick as possible. Increased awareness is key to this, as support, independence and occupational performance in the home are a key to making life run as smooth as possible. To find out more – Download the Guide. Wet rooms are the fastest growing sector in the UK bathroom market, yet there is still some wariness on the part of many installers as to their installation. 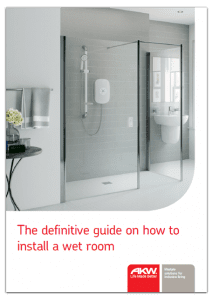 This guide has been designed to address these issues and provide a comprehensive, best practice guide to installers, dealing with a range of issues including avoiding leaks, location of wet rooms and how long it takes to install one. An estimated five percent of UK homes have a wet room. While this figure may seem relatively small alongside the number of traditional bathrooms across the nation, this looks set to change as they grow in popularity in the coming years. Indeed, a recent study by AMA Research highlights wet rooms as the fastest growing sector in the country’s bathroom market as they gradually become an accepted alternative to conventional baths and showers. Is a wet room expensive? Wet rooms can deliver a spa-style luxury finish to any size room, which is difficult to achieve with a traditional bathroom or shower cubicle for the same price. With the inclusion of a wet room former in either new builds or refurbished bathrooms the area can be transformed quickly and easily with minimal expense when using solutions such as AKW’s Bathroom for Life. High quality formers can withstand the weight of a bath and use a bath’s waste with an adapter, meaning family bathrooms can be quickly and cost-effectively converted into wet rooms and vice versa according to the requirements of the consumer. Installation is made quicker still as the formers are available in a range of sizes and can be trimmed easily for a seamless fit. Modern wet room formers also allow for maximum flexibility with the location of the waste as some have an offset waste position and can be rotated by the installer to avoid existing joists and pipework.